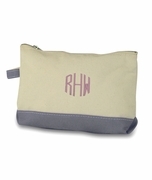 Today's monogrammed woman's accessory bags are multi-purpose. 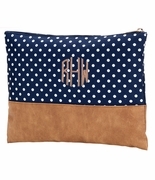 A perfect bag for make-up or bath and body essentials. 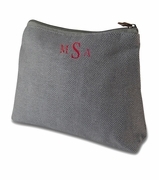 They also can be used for id-cell phone on the go bag, small classroom necessities pens, paper clips post-it notes, picnic pouch for easy to loose kitchen basics. Classic NAVY canvas with gold vegan bottom band and zipper pull tassel. 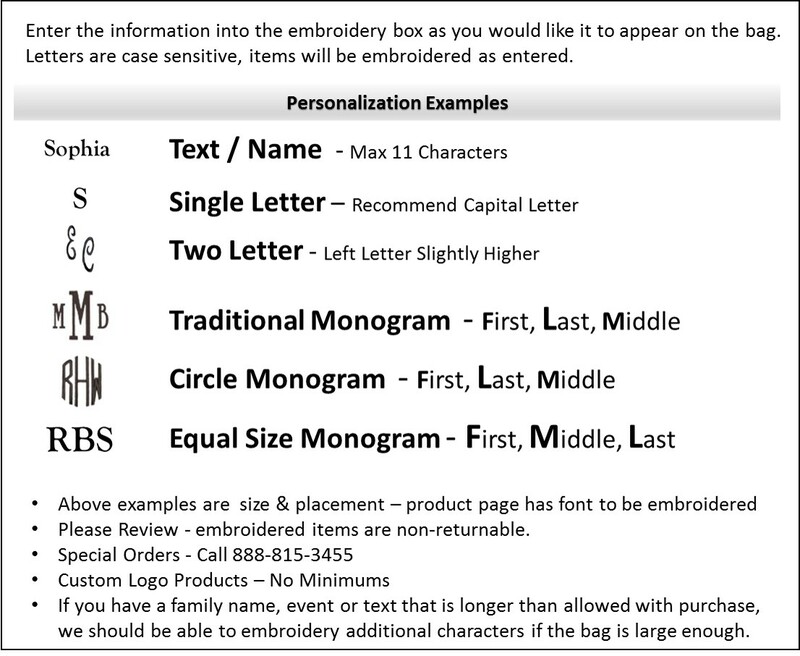 Monogram thread will closely match the bottom trim. Matching large tote available search item WB-M732CABANA. A fashionable set for bridal gift, graduation present, vacation or retirement getaway travel set. 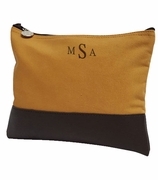 Monogram accessory tote bag measures 10" wide x 7" height, 2.5" across bottom. Nylon lined with a zipper closure.